Keeping a Skin Diary: The 28 Day Skincare Challenge! This post today is for anyone who has struggled with their skin. With acne, with rashes, pimples, boils or other un welcome guest that arrive on our face or body. And Cat, fellow blogger and skin solver is just person to help you out and she is going to be sharing with us one sure fired way to smoother, clearer and happier skin. Keeping a diary isn’t for everyone, I know. You’re already busy enough, right? The other is a skin diary. The idea is to keep track of certain things (food, sleep, stress, environment for example) and how my skin is behaving. The aim is to see if any patterns are forming, so I can learn what to do (or not to do) to avoid them nasty breakouts. I’ve been plagued by problem skin since early teen years – and that’s well over a decade. I’d say that I now have clear skin 90% of the time, and my rosacea (a hereditary inflammatory skin disorder which symptoms include red facial flushing and a Rudolph-esque appearance ) is mild. All this was not an overnight achievement. It took years of utter confusion, overwhelm and – sometimes – downright despair. The problem with solutions you read online is that they will work… for some of the people… some of the time. So yes, there is some brilliant information out there -but determining which of it will work for you can be quite a challenge. That’s why, when I wrote my eBook on Natural Skincare, I made sure to include a resource that would make it super easy for you to work out what triggers your skin issue. Yep – a skin diary! 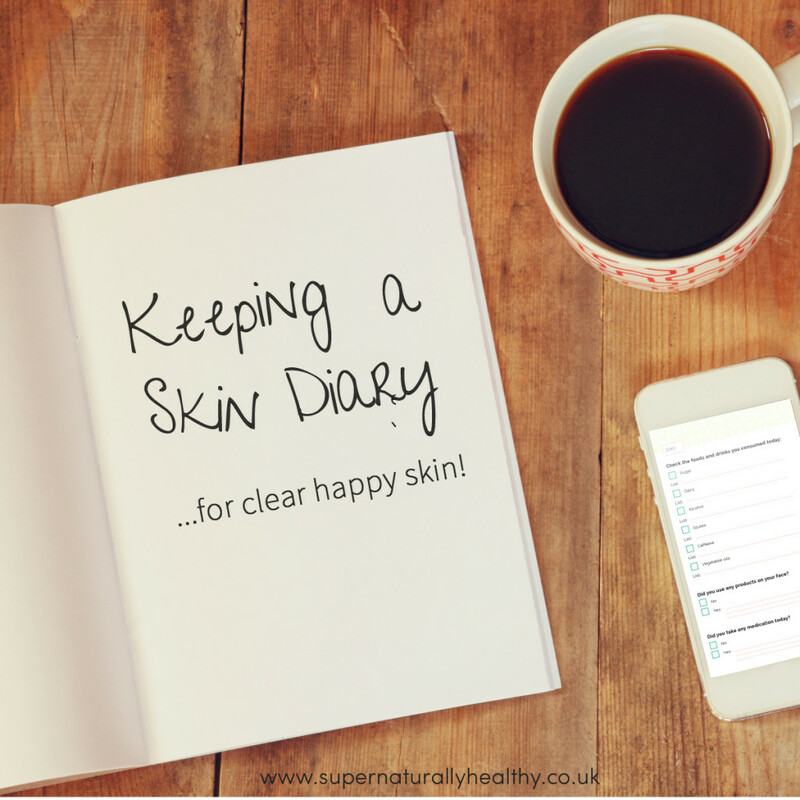 My challenge to you is to keep a skin diary for 28 days and see if you notice any patterns. 1. What time did you go to bed? 2. What time did you wake up? 3. How many times did you wake in the night? 1. What did you do/use for your morning skin care routine? 2. What did you do/use for your evening skin care routine? 3. Did you use anything else throughout the day? 3. How much caffeine did you drink? 2. How were your stress levels? 3. Were you in the sun (20 mins +)? 4.Were you in the wind (20 mins +)? 1. What did your skin look up when you woke up? 2. What did your skin look like when you went to bed? *Might be worth using a tracking app like MyFitness Pal for the first 28 days. Alternatively, in my diary template, I list some of the more common skin agitators (various types of protein, sugar, alcohol etc) which you could use instead. Because I like making things look nice, I went ahead and made a printable 28-day Skin Diary pdf for you to download (yes it’s free) and use straight away! Grab it here. 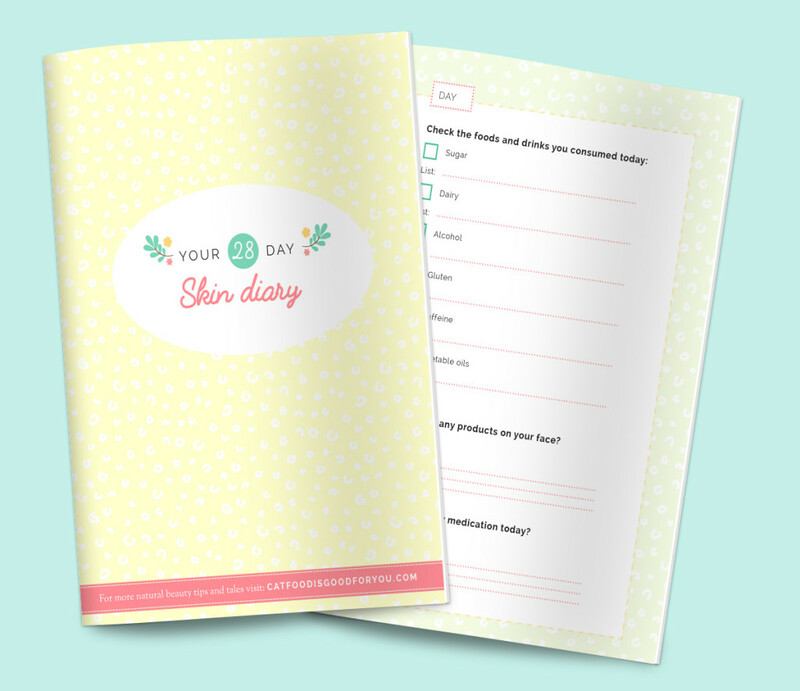 Another great resource is this printable from Weleda on keeping a skin diary for your child. After 28 days, have a flick through your entries and see if you notice anything. I think the trick is to go in with an open mind – it’s amazing what you can discover about what affects your skin. It was how I worked out that it was whey (a protein in milk) that made me break out – which is unusual, because most people (who can’t tolerate milk) find it’s the lactose or casein that creates an inflammatory response. Go figure! Anyway, I hope this skin diary challenge helps anyone out who is looking to get to the bottom of their skin issues! 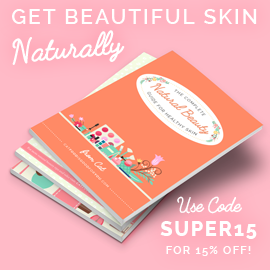 PS: If you’d like to learn more about keeping a skin diary, and more about the common triggers for skin issues like acne and rosacea, you can get 15% off The Complete Natural Beauty Guide for Healthy Skin when you enter the code SUPER15 at the checkout! Just call it an early Christmas present to yourself . Thanks Cat that is some wonderful advice and make so much sense as our bodies are totally unique and wonderful so it our job to listen and learn so we can give them what they need! And guy I have read this ebook cover to cover (digitally speaking) and it is a brilliant guide to natural skin care, make up, beauty and other fun stuff. The recipes are super simple, easy to do and after implementing some of Cat’s advice I got complements on my complexion…thank you very much!